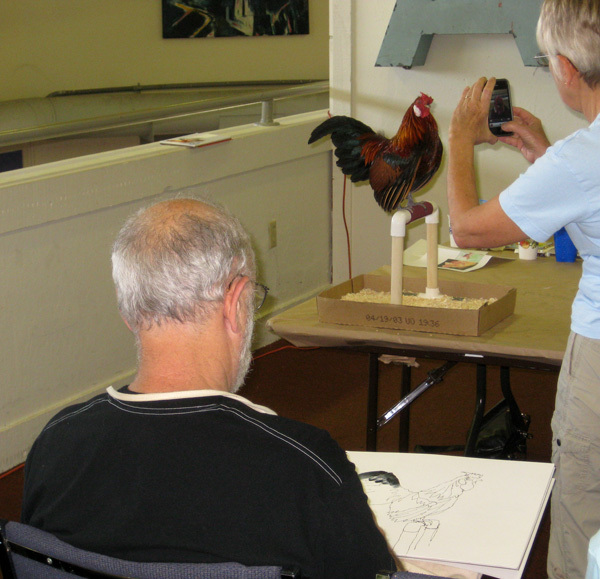 A little while back, Jan asked me if I could help out with chicken-wrangling for a chicken painting workshop. Painting was optional (me? watercolor? no thank you) but I'm always up for letting people admire my birds! 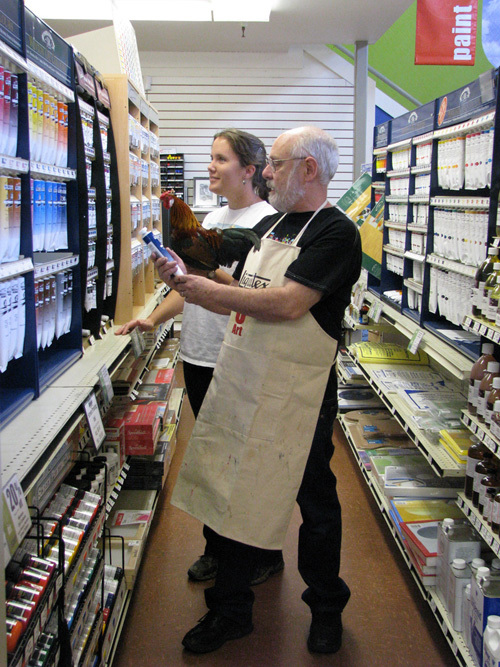 So today Jan and I each took a bird to University Art store in Sacramento for her friend David Lobenberg's class. I had a lot of fun. 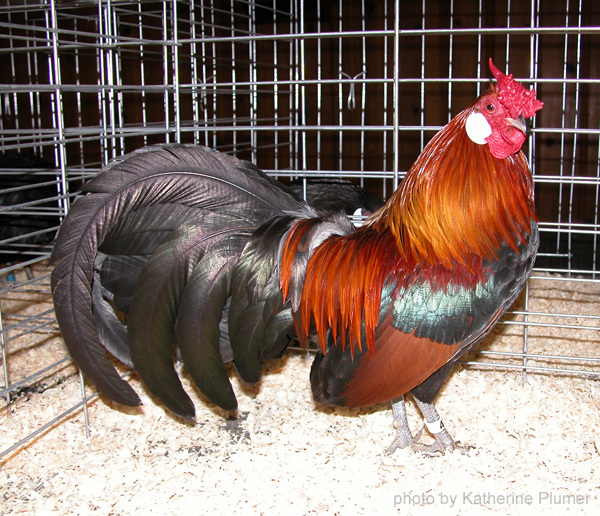 I took "Pablo" the old BBRed Rosecomb rooster, and he was a perfect model. I brought a portable perch and he stood there for about two hours, perfectly still except craning his head this way and that, occasionally flapping his wings, and screaming at every pigeon that flew past the windows. And I had a great time being an off-duty artist and watching everyone else paint. 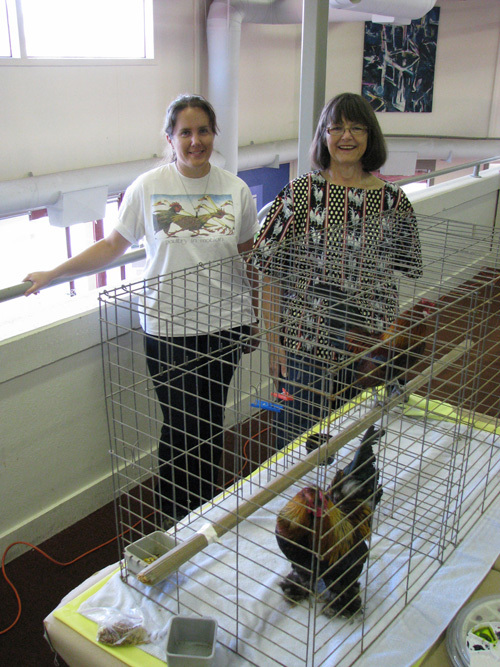 I was pretty much an anonymous chicken owner. Nope, I didn't bring any art to show, it wasn't a time or place to do that. 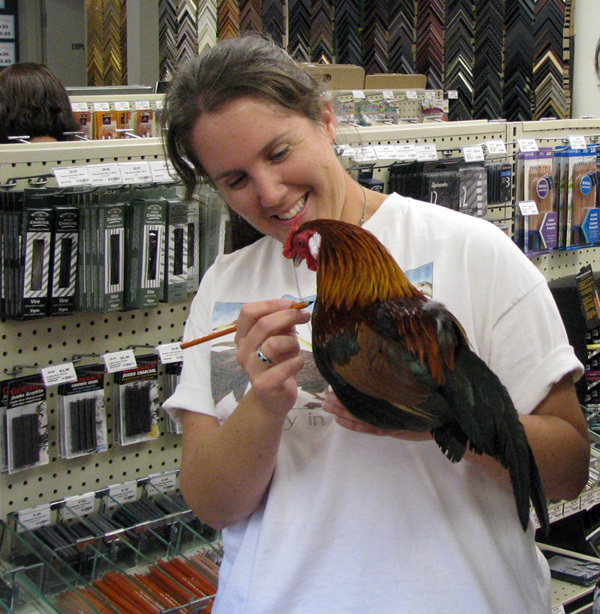 :-) But how often do I get to take a chicken to an art store? Not nearly often enough! What a nice thing...and good to see you both! I love Jan's shirt BTW. -BMc.